In this weeks post, I chose to visit a tool that's been around a while, but I think doesn't always get it's due. That tool, is the Mirror Component command in the assembly file. 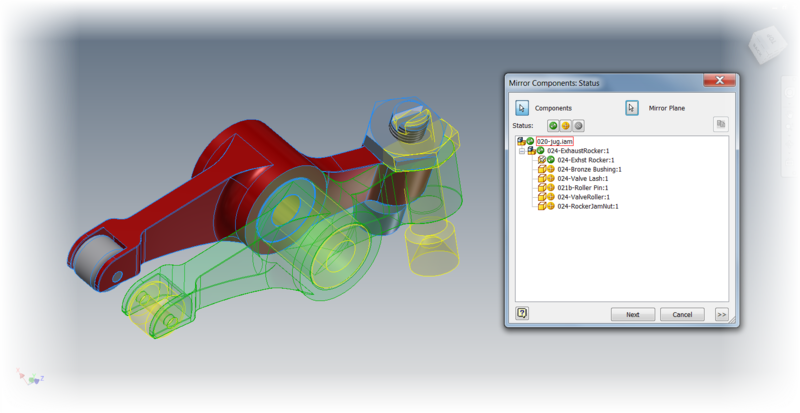 This tool will create opposite handed components, using another component for reference. I could go on talking about theory, but instead, I think I'll use an example of where I used this function. Over time, I've been slowly rebuilding a 9 cylinder radial engine I found on GrabCAD. 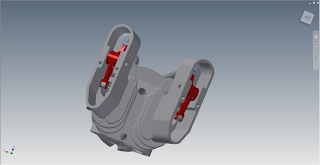 Most recently, I was working on the rocker arms in the engines valve train. 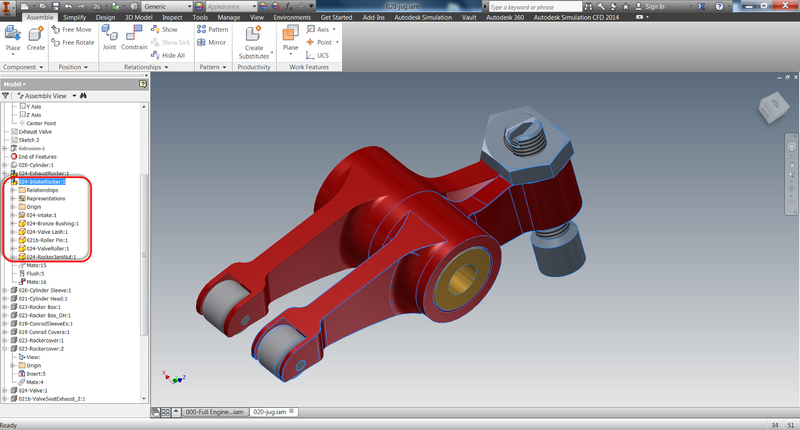 I first created the rocker arm for the exhaust side, which was a bit of a challenge. The arm has an interesting twist in it that's required to make it work. Needless to say I wasn't excited about repeating the same for the intake side. That is, until I realized the intake rocker arm is just a mirror image of the exhaust side. That makes it a whole lot easier! 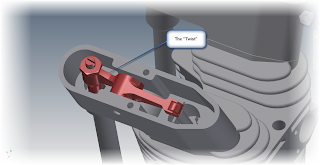 First, in order to make things easy, I isolated the rocker assembly. Notice that I'm still working in the assembly the rocker is placed in. That's indicated in the browser below. 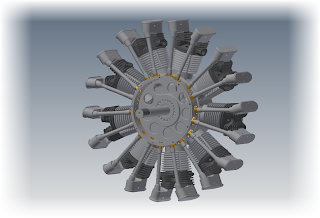 So instead of rebuilding the entire intake side from scratch, I just selected the Mirror Component, selected my rocker assembly and got started! The first thing to note are the status icons. 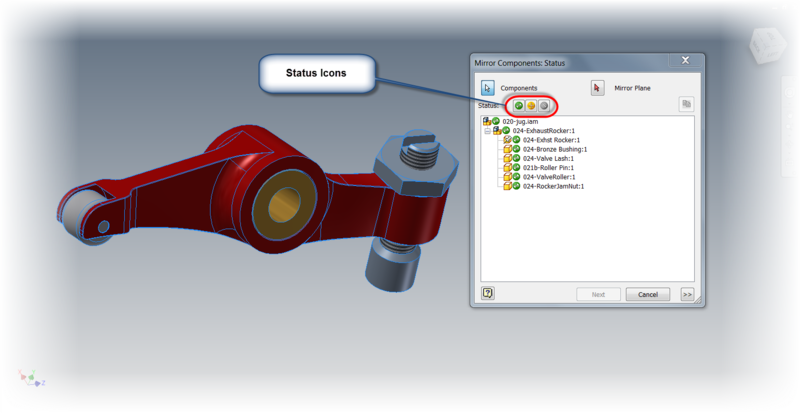 The green icon indicates the subcomponent will be mirrored, creating a new subcomponent in the process. The yellow icon will reuse the existing subcomponent, and won't create a new subcomponent. The gray icon indicates that the subcomponent will be ignored, and not used at all. By default, Inventor wants to mirror everything. While every situation varies, in this case I only need to change the rocker arm, so I can reuse every other subcomponent. 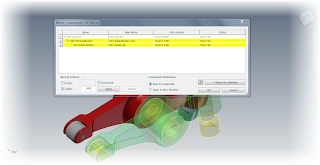 Selecting each component in the dialog box allows the status of each subcomponent to be changed. 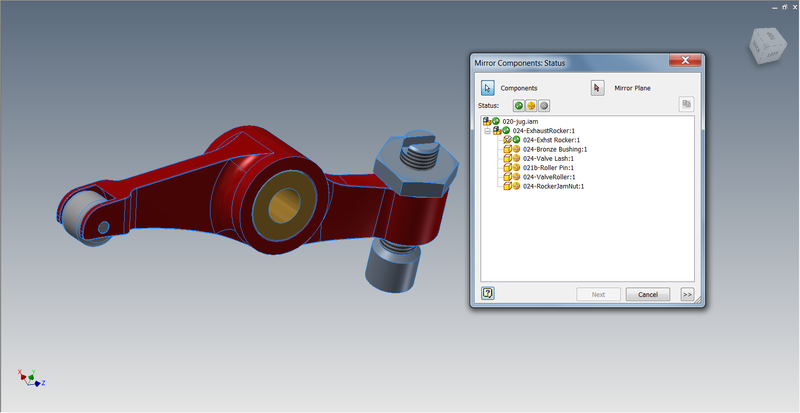 The components selected for change. Now, I just have to select a plane to mirror about. This can be a workplane, or a flat plane on the part. In this case, I just chose the side of the bushing. I can always reposition with assembly constraints later! Also, notice how the mirrored subcomponents are colored green in the preview, and the reused subcomponents are colored yellow. That's good feedback! I'm almost there now. 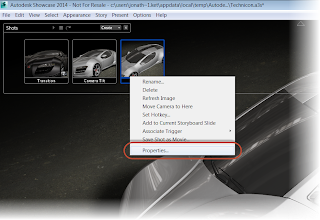 With everything the way I want it, I can click next in the dialog box. I'll have the ability to rename the new files here (which I've done). I can also choose if I want Inventor to open these files in a new assembly, or place them in this one. In this case, I've already renamed the files, and selected the option to place them in the existing assembly. Now with all my options set, I can click okay to create the new component. 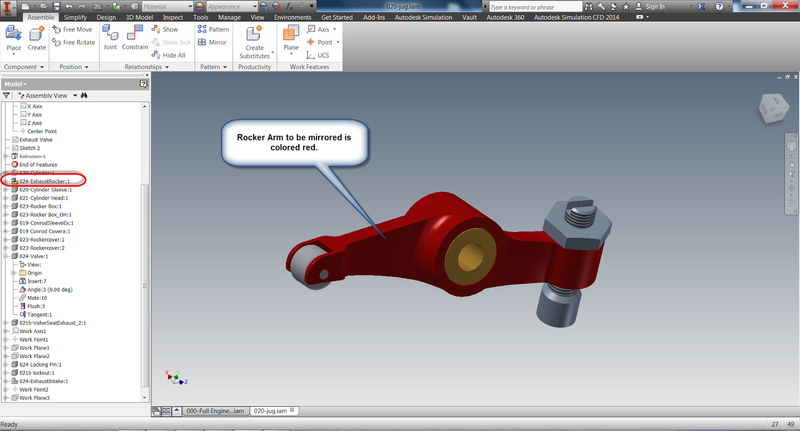 The new rocker highlighted, and show in the browser. Now the new rocker is placed in my assembly, now I can turn the visibility of the other components back on, and position the rocker in the assembly. So there it is! An example where the mirror component tool really helped me out. So take a look at it and see where it might be able to help you! This file was not created by me. It was originally created by Dave Goetsch on and shared on GrabCAD here. 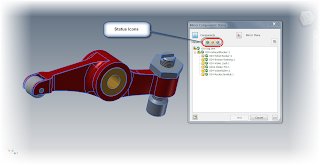 I'm only recreated what he's shared in Inventor. The major credit goes to Dave! You may realize that I'm not creating videos as often as I used to. That's because I'm in the process of taking classes in the evenings, and I quite simply, don't have the time I used to. I'm hoping to revisit these blog posts with videos later! But rather than hold up the show, I decided to place them in text only. From the News Desk - Using Hand Gestures to Drive CAD?!? There have been times that I've wondered if in a few years, we'll all be looking at the mouse and keyboard and think "Hard to believe that's how we used to design!" But in the same breath I've also thought; What will replace it? Virtual Reality? Holograms? A data port implanted in the side of the designers head? That question still floats out there. I suddenly feel like grasping my SpacePilot to my chest and yelling, "From my cold, dead, hand!". But perhaps the folks at SpaceX may have given us a glimpse into the future. 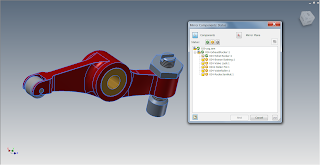 What if the CAD model could be controlled using hand gestures. Not THAT gesture. Stay with me, people! Check out the video below. Have we seen a glimpse of a world yet to come? It's been a busy week this week! So unfortunately, I haven't had a chance to build videos. But instead of holding the post back, I'd rather share what I have now. I'm hoping to build the videos a bit later, and add them in! In the meantime, I hope the post below is helpful! I recently found myself doing indexing AutoCAD block attributes into Autodesk Vault. During this process, I thought to myself: "Self, this is probably something that should be documented". So I decided to share it here! I've created a block with just one attribute in it. FACILITY NAME. What I would like to do, is place this file into Vault, and make the facility name a property that can be searched by within Vault. The first thing I want to do is take note of the block name in Vault. 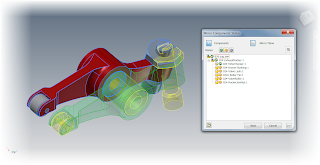 This can can be accomplished in AutoCAD, and selecting block, and using the command BATTMAN (for batch attribute manager, not the Caped Crusader). Next take note of the attribute tag that's going to be indexed in Vault. In this case, the tag is named FACILITY_NAME. This is important for the next step, where Vault is "taught" what information to read from the block. Now that the tag name is known, it's time to open up the Autodesk Data Management Server Console (ADMS). Once logged in, select Tools>Index Block Attributes. 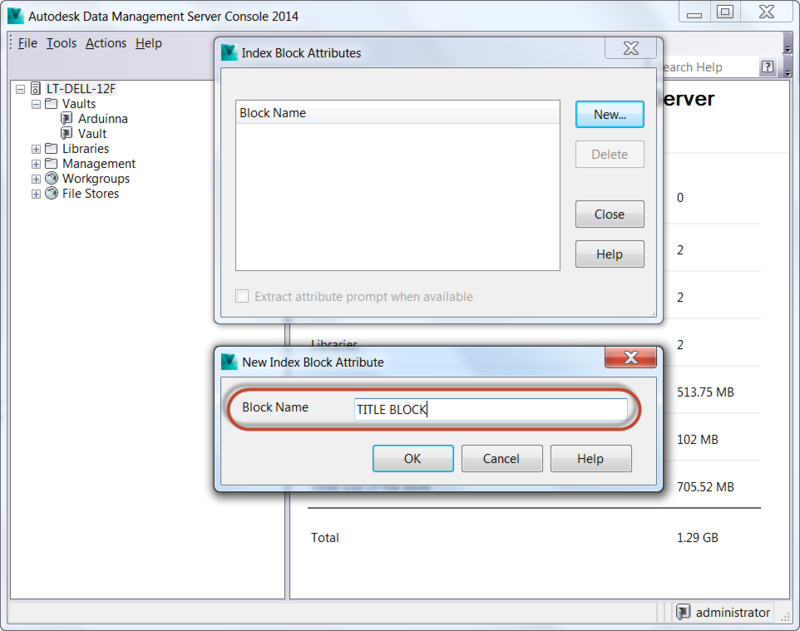 Selecting this tool will open up the Index Block Attributes dialog. 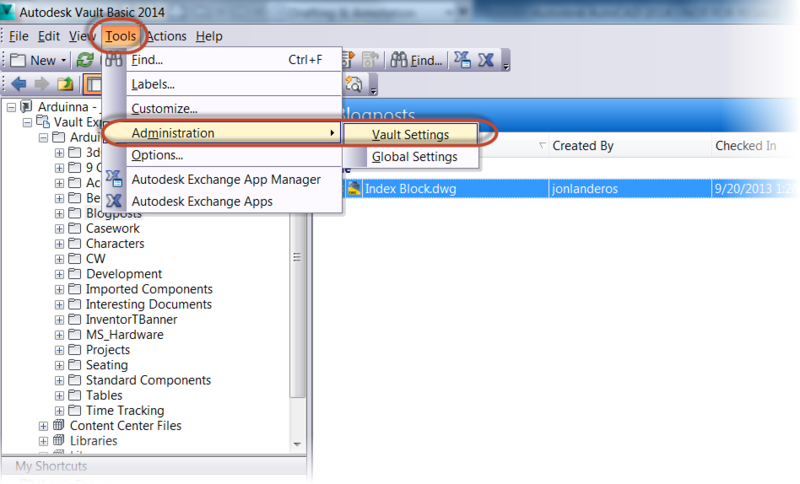 Choosing the New button will bring up a dialog where the block name is entered. Make sure to type it exactly as it appeared in AutoCAD! Accept and close the dialog boxes. Now, Vault needs to be seeded with a file containing the block to be indexed. The first step in this process, is to check in the file in Vault. Now with the file checked into Vault, the appropriate property needs to be created and mapped. First, go to Tools>Vault Settings. The Vault Settings dialog box will appear. Choose Properties from here. Now, it gets fun! Click the New button to create a new property. I'm going to call it "Facility Location". The next part of this step is to map in the actual AutoCAD block property to the Vault Property. This is where the connection is made. 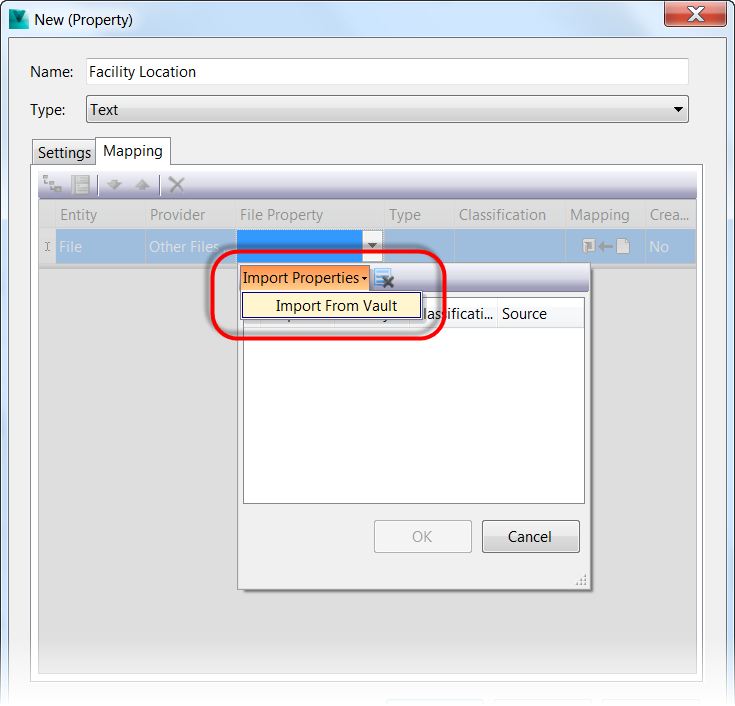 Click in the empty File Property box to bring up the "Import Properties" button, and choose Import from Vault. Now the seed file can be located by browsing in Vault. The list of properties will appear. Browsing through the list will yield Title Block Enter Facility Name, which is exactly the property that's needed! Accept this value and close all the dialog boxes. There are a few more steps to go, but not too many. Using Customize View, make the new property in visible in Vault Explorer by right clicking on the title bar in Vault Explorer and choosing Customize View. 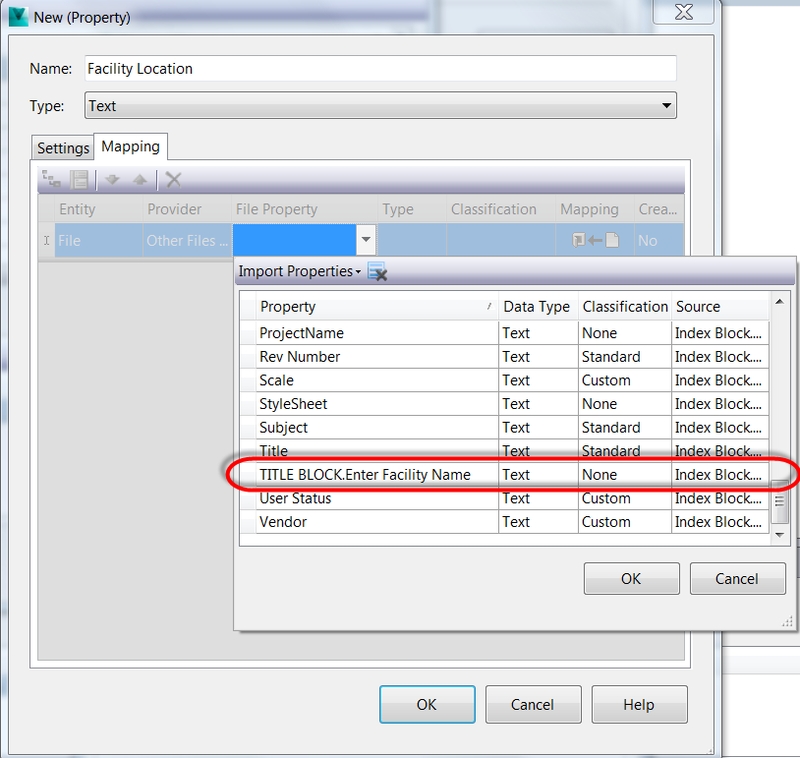 Now, follow that up by locating the Facility Location property, and moving it to the visible fields panel. The "Move Up" and "Move Down" buttons can be used to reposition the field if desired. Accepting this, the field will appear in Vault Explorer, but there's one issue. It's empty! There's one more step left. 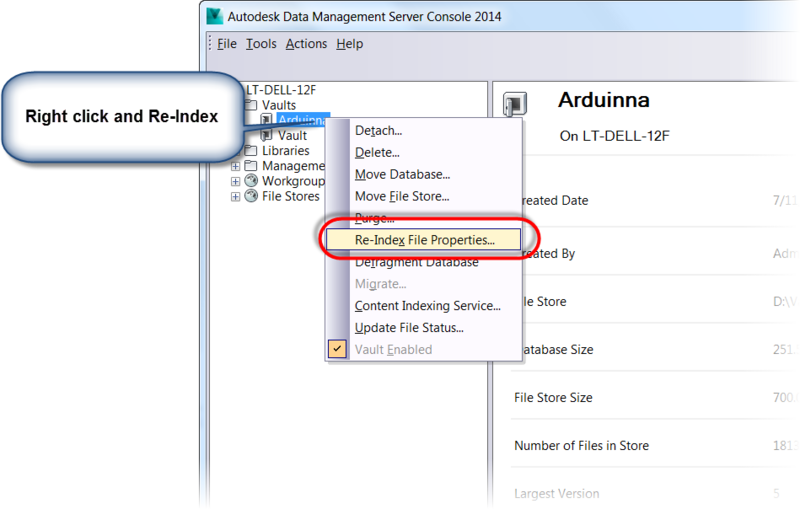 Return to the ADMS Console, and select the desired Vault, and choose Re-Index Properties. This will reread the properties in Vault, including the one just added. Note that this process can take a while if there are a lot of files, so give it some time to finish. If there are a lot of files, it could take over an hour. Now, after the files have Re-Indexed it's time to return to Vault Explorer and refresh the screen by hitting F5. Now the property is visible! At long last, the process is finished! I know this seems like a long winded process, and I wouldn't disagree that there are quite a few steps involved. After all, I just spent hours writing them all out! But now that it's done, it's done. Any additional AutoCAD files that contain this block will populate the fields from this point forward. So the heavy work is done, now it's time to reap the benefits! Give it a try! It can make a big difference automating those much needed steps! I've added the videos to accompany this blog post! 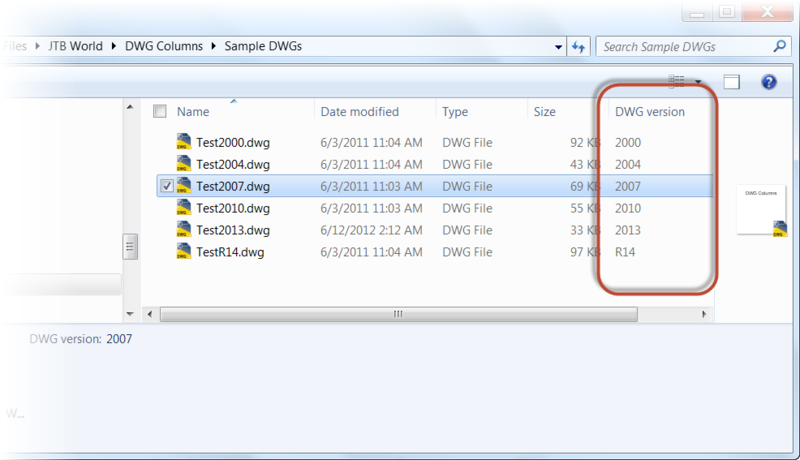 The other day I was asked, "Is there a way to check what version a dwg file was created in?" I had to think a moment. I don't work in AutoCAD as much as I used to, so it's safe to say I'm a bit rusty. But I set off on my quest to take a look, and up popped a couple of methods. The easy one? Open the file in AutoCAD. 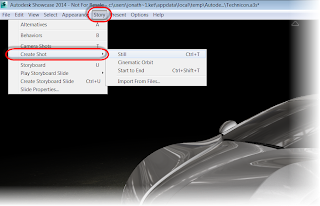 Once the file is open, hit the "F2" key and you'll see a line that says, "Opening an AutoCAD XXXX format file"
But there's also a more elegant way! In my searches, I found an application on the Autodesk Exchange App site that will display the DWG version in Windows Explorer! 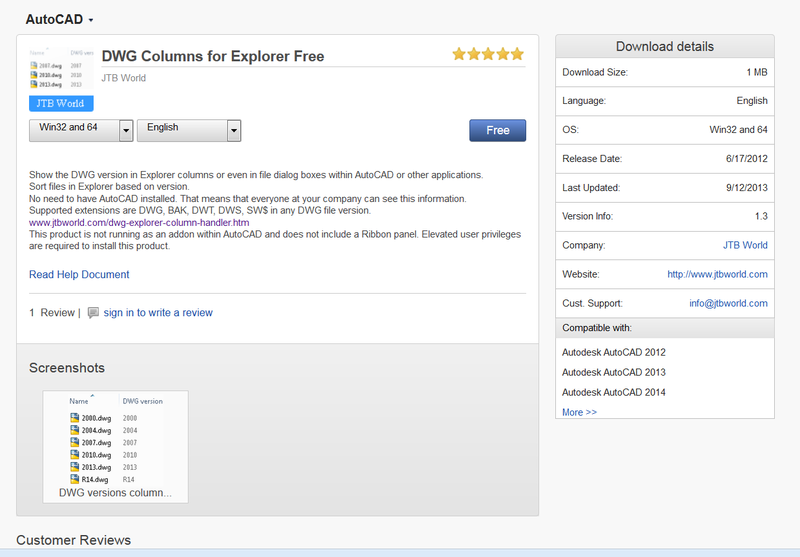 This app is called DWG Columns for Explorer by JTBWorld, and it creates a column in Windows Explorer that displays what version of AutoCAD the DWG was created in. So I downloaded it down, tested it, and found out it's a slick little tool. It's simple, and it's effective. Just like many good tools. So give it a try! I know it's a nice little app that I'll be keeping on my own machine for a long time! Note that there's also a pay version that shows all AutoCAD properties. I haven't given that one a try, but it the pricing looks to be pretty reasonable, so maybe down the road, I'll give it a shot! If you end up trying the premium version out, leave a comment and tell us all what you thought! And before I wrap up, I'd like to leave a couple of tips on setup below! 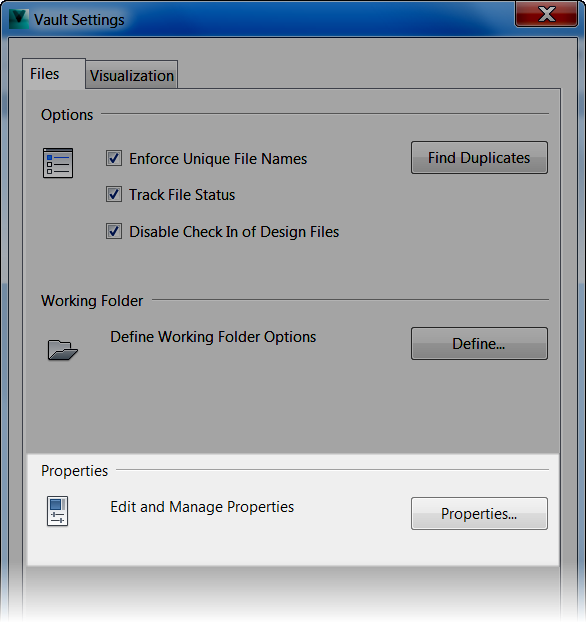 1) Once installed, open up a directory containing dwgs in Windows Explorer. 2) Right click on a column. If you don't see "DWG Version" choose more. 3) Located "DWG Version" and check the box. Click OK when done. 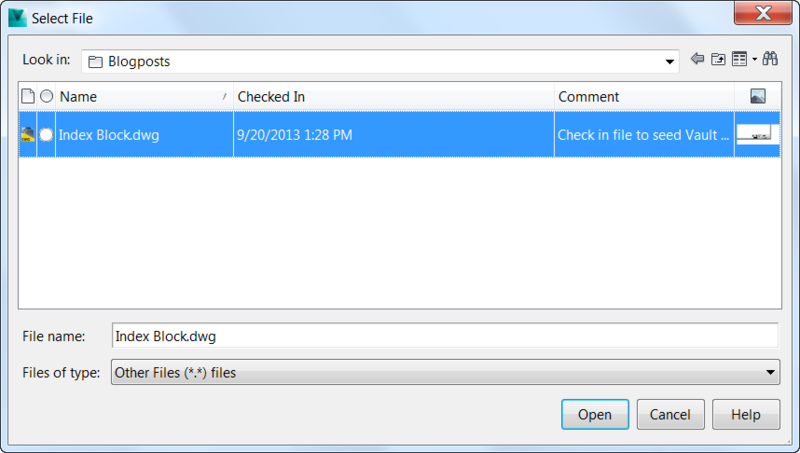 4) The column will now appear in Windows Explorer! Thanks for reading this post! Have a great week! 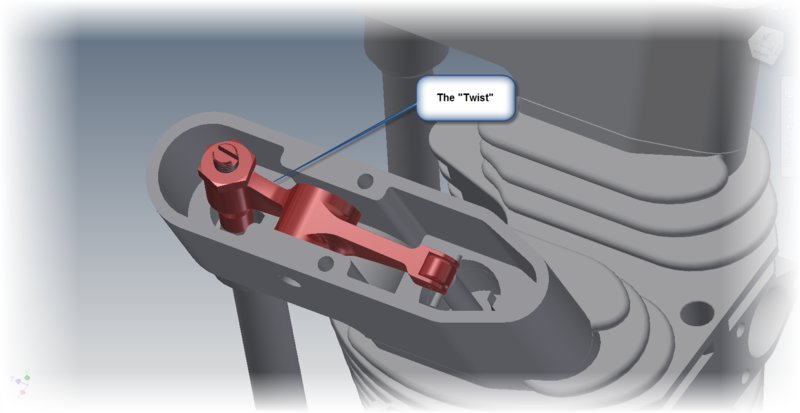 Autodesk Introduces 123D Circuits... For Free! While looking around at some geeky tech news, I ran across this announcement on TechCrunch from Autodesk. 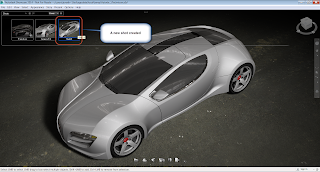 123D Circuits is a free online app that allows for the creation and testing of virtual electronic circuits? Premium accounts are also available. This really interests me! As a Mechanical Engineer, most of my experience with electricity comes from the "blue spark" and the tingly feeling that comes afterward. Sot he ability to learn in a virtual environment (away from real electricity) is really appealing! Have I checked it out yet? No. I haven't had an opportunity, but I think I will be looking at this in the future. It sounds intriguing indeed! 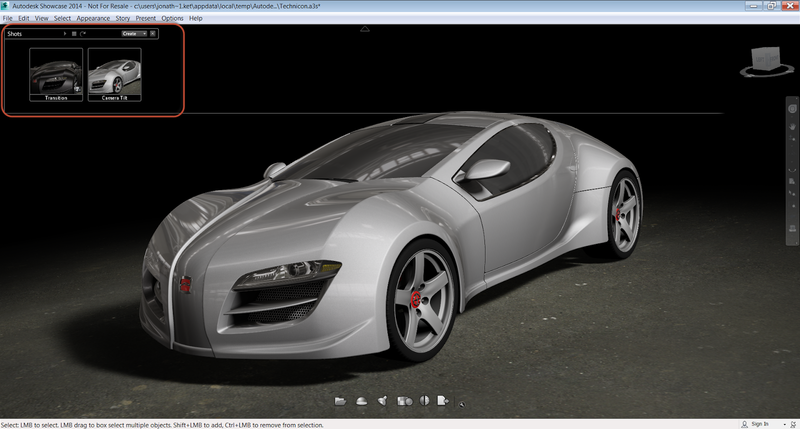 For more info from the Autodesk Sandbox, take a look here! And for an overview video, take a look at the link below! Introducing 123D Circuits.io from circuits.io on Vimeo. 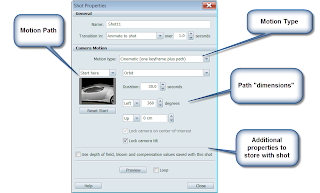 In my post last week, I talked about creating static camera shots inside of Autodesk Showcase. But Showcase can also create animated shots too! In these shots, different camera animations can be created that make the camera zoom, orbit, or pan across the object in the scene. By using these effects, a compelling 'eye catching' scene can be created. One that will really grab the attention of the intended audience. So how can a cinematic shot be created? Just like in my previous post, go to Story>Create Shot. Options to create an Orbit, or "Start to End" Shot are available. Now, the Properties dialog box shows up, and I can begin tweaking my animation to suit the needs for a shot. There's a lot of different things that can be tweaked, so I created the image below. All of these settings can be adjusted to create different types of animations, all giving a different type of effect. Motion Type switches the motion between Still, Cinematic, and Start to End. Depending on the type of motion selected, animations for Orbit, Pan, Zoom In/Out, etc. These have the added bonus of being able to capture a point along the camera path to set the view. Motion Path controls the path for the camera, creating the desired camera effect for the animation using a point along the path. Path Dimensions allow the camera path to be adjusted by typing in the angle, position, and duration of the camera path. By adjusting these settings, the animation can be changed and just like before, mutliple animations can be created and animated together to create a longer presentation! Give it a try and experiment! And check out the video below! As this week draws to a close, I wanted to share another great video from Marion Landry's YouTube Channel. This one is on creating bloom effects, or the "glowing" effect that can is sometimes visible. It's another effect that can make a scene standout, and it's definitely worth taking a look at! Take a look at this video, and the other Autodesk Showcase videos on Marion's YouTube Channel! I've done it many a time before. I've created a series of images of a scene in Autodesk Showcase, only to realize I don't have an easy way to reproduce one at a later date. I have to carefully arrange the shot again, making sure I got all the camera angles right and then recreate it. I like this shot, but how do I recall it later? This isn't the fault of Showcase, it's a result of me getting anxious, and forgetting to use a tool that can save me a lot of time and trouble. Camera shots in Showcase allow camera angles to be saved and recalled, along with some built in camera effects, camera angles, and in Showcase 2014, depth of field settings. So how are camera shots accessed? The first place it can be found is in the Story>Camera Shot pulldown. The other is the hotkey "T" which is what I prefer to use. This will bring up the toolbar that shows the existing shots. The shots panel in the upper left. Choosing Still from the Camera Shot pulldown, or using the hotkey "Ctrl+T" will take a still shot of the current camera position and camera properties. This is how a shot can be saved for later! But there's more that can be done! Right clicking on a shot will bring up options that allow the shot to be changed. But here, I'm just going to choose Properties. The properties screen will allow for the changing of different settings for the shot. These include the transition type between shots (Still, Animate, Cut to Shot), and duration, as well as Animation types, which I'll cover in my next post. But feel free to experiment with these, and get an idea how they work! And for a video version of this post, take a look below!